E.F. 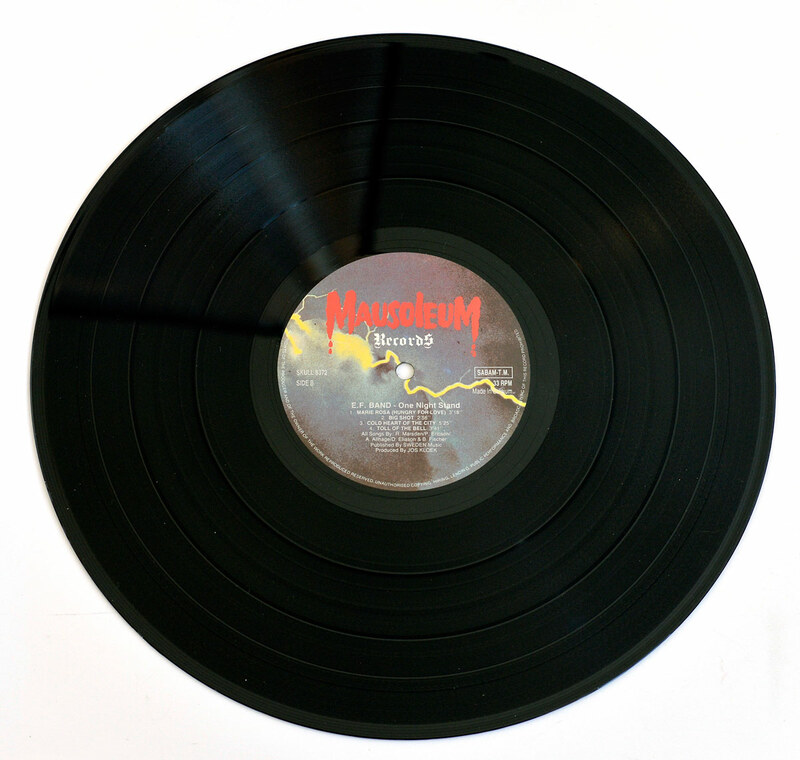 Band was formed in 1978 in Sweden and moved in 1979 to the , thus taking part of the New Wave of British Heavy Metal (NWOBHM) . 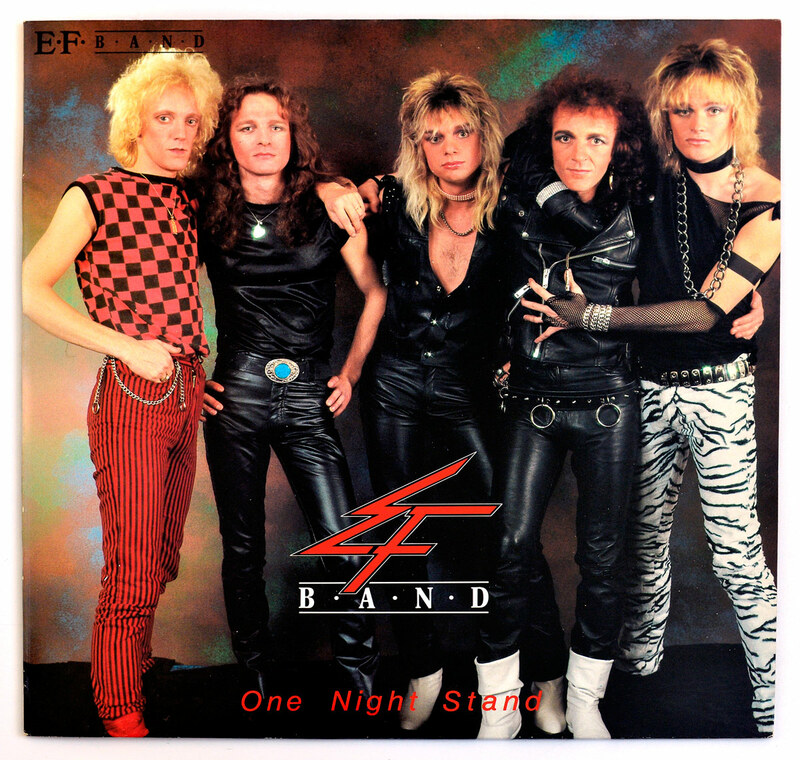 "One Night Stand" is their 3rd full-length album and was released in 1985. MINT (M): Perfect! This album cver looks like it has just left the manufacturer, with NO visible flaws what so ever. It looks as though it had never been handled. No stickers address labels, writing on the covers or labels. No tears or seam splits. No wear to the cover or record period! Eric Philippe is a well known album cover designer, creating artwork for the album covers for bands like: Ostrogoth, Dark Wizard, E.F. Band, FN Guns, Killer and many others. High Quality Photo of Album Front Cover "E.F. 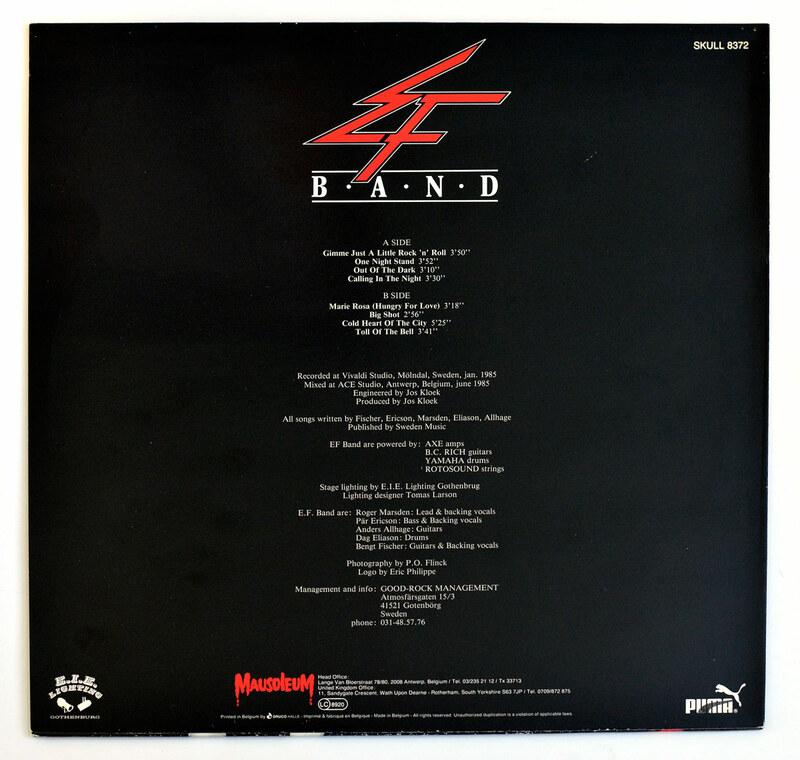 Band - One Night Stand Skull"
Album Back Cover Photo of "E.F. Band - One Night Stand Skull"
Roger Marsden sung on the Metal bands Deep Machine , Angel Witch, and joined the E.F. Band in 1983. Dag Eliason played drums with the "E.F. band from 1981 until 1985. Founding member Bengt of the "E.F.Band" played guitars with the E.F. Band from 1979 until 1985 and performed on all the band's albums. Complete Track-listing of the album "E.F. Band - One Night Stand Skull"